Provide comfort for the family of Annie Davis with a meaningful gesture of sympathy. Annie Pearl Beamer Davis, age 93, of Covington, died January 27, 2019 at her residence. Mrs. Davis was the wife of the late Rex Brown Davis. Mrs. Davis was born December 10, 1925 in Carroll County, the daughter of the late Posey Beader Beamer and Annie Marshall Beamer. A resident of this area since 1962, she had previously lived in Ohio and Carroll County, VA. Mrs. Davis received her Bachelor’s of Science in Education from Radford University and was employed as a teacher in the Alleghany and Covington School Systems for 44 years. She attended Granbery Memorial United Methodist Church. Mrs. Davis was known to have always done things “her way”, from her beautiful gardening on Indian Draft Road to her fried apple pies and presence at the flea market. Pearl was always doing it “her way” whether you liked it or not. Almost everyone liked it. Mrs. Davis is survived by one son, David B. Davis and wife, Carol; two daughters, Rebecca Davis Moran and husband, Martin and Beverly Sue Davis Crawford; two grandchildren, Tiffany Gillespie and husband, Jared and Michael Brown and wife, Brandi; and two great grandchildren, Miley Bowers and Kennedy Brown; and a number of nieces and nephews;. Mrs. Davis is also survived by her other special son, neighbor, Darius Hylton and wife, Carolyn. In addition to her parents and husband, she was preceded in death by two brothers, Clarence Beamer and Virgil Beamer; and seven sisters, Goldie Rakes, Pauline Barger, Hattie Landis, Mattie Landis, Iva Lou Gillespie, Virginia Spraker and Irene Melton. A funeral service will be conducted at 12:00 P.M. Friday, February 1, 2019, from the chapel of Loving Funeral Home with Rev. Russell Urban officiating. Interment will follow in Alleghany Memorial Park. The family will receive friends from 11:00 A.M. until time of service at Loving Funeral Home. 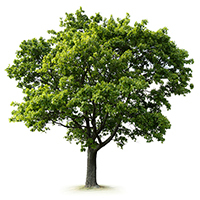 To plant a memorial tree in honor of Annie Pearl Davis (Beamer), please visit our Heartfelt Sympathies Store. Fondest memories and deepest condolences in honor of Annie Davis and family. So sorry to hear this sad news of Pearl's passing. She was an awesome friend and mentor for me when we taught together at Edgemont and Jeter-Watson schools. She will certainly be missed by friends and family. May she Rest in Peace and Rise in Glory! Mrs. Davis was my 5th grade teacher and one of the favorites. I always enjoyed sparring with her and she was a joy to chat with through the years. Much love to the family she leaves behind. So sorry for y'all's loss. I remember Mrs. Davis coming in Stonewall when I worked there for Bev. She was a sweet loving and kind lady. Her memory will live on in the community and through her family.